This month marks the 50th anniversary of the Sixteenth Street Baptist Church bombing in Birmingham, Alabama, a horrific event which became a turning point in the Civil Rights Movement. 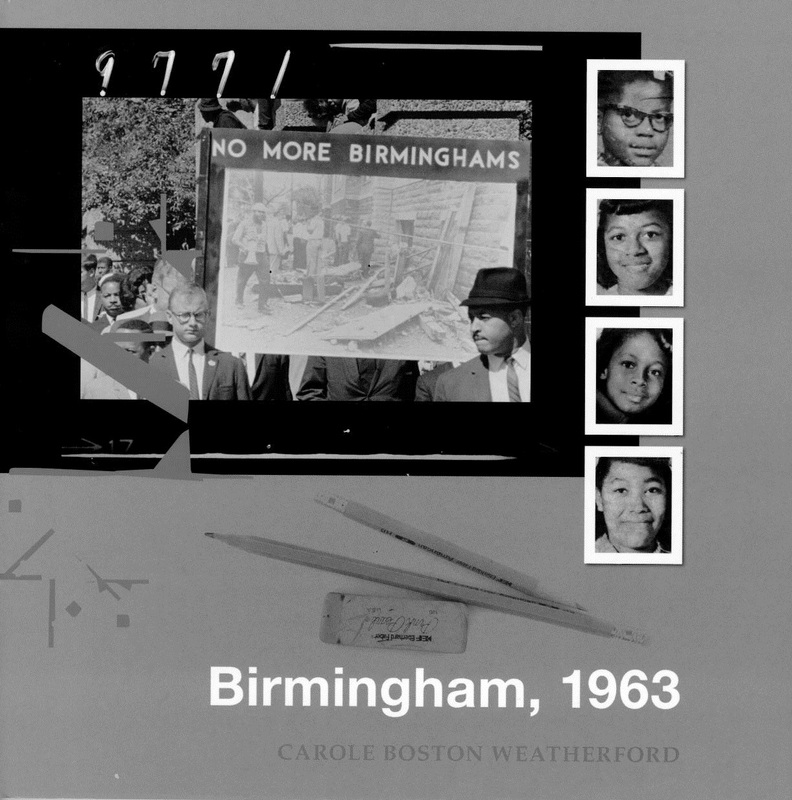 Award-winning author Carole Boston Weatherford pays homage to the four girls who lost their lives in her powerful book, Birmingham, 1963. What effect did the bombing have on the nation? The bombing of the Birmingham’s Sixteenth Street Baptist Church was the Newtown, Connecticut of its day. Both tragedies seared the collective conscience. Just as the 2012 massacre at Sandy Hook Elementary School rocked our nation and roused support for gun control, the 1963 hate crime both shocked and shamed America into confronting historic racial inequities. During the Cold War, America offered itself as a beacon of freedom and democracy to the world. Yet, segregation was the status quo and the Ku Klux Klan terrorized African-American citizens. These moral contradictions were exposed by the church bombing that left four girls dead. Why did you choose historical fiction and create an anonymous narrator? The historical events are true, but the first-person narrator is fictional. I use historical fiction to give young readers a character with whom to identify. In so doing, young readers grapple with social justice issues. I did not want names of fictional characters to stick in readers’ minds or to take the focus off the real victims. Also, the narrator’s anonymity draws readers even closer to the action. In this scene, she struggles to get out of the church after the blast. Why did you set the tragedy on the narrator’s birthday? In the eyes of children, turning ten is a big deal, a childhood milestone bordering on a rite of passage. The bombing actually occurred on the church’s Youth Day. To compound the irony and up the emotional ante, I made the bombing coincide with the narrator’s tenth birthday. The main character is looking forward to singing a solo during worship service and to celebrating her birthday. Instead, she survives a church bombing and mourns four older girls. 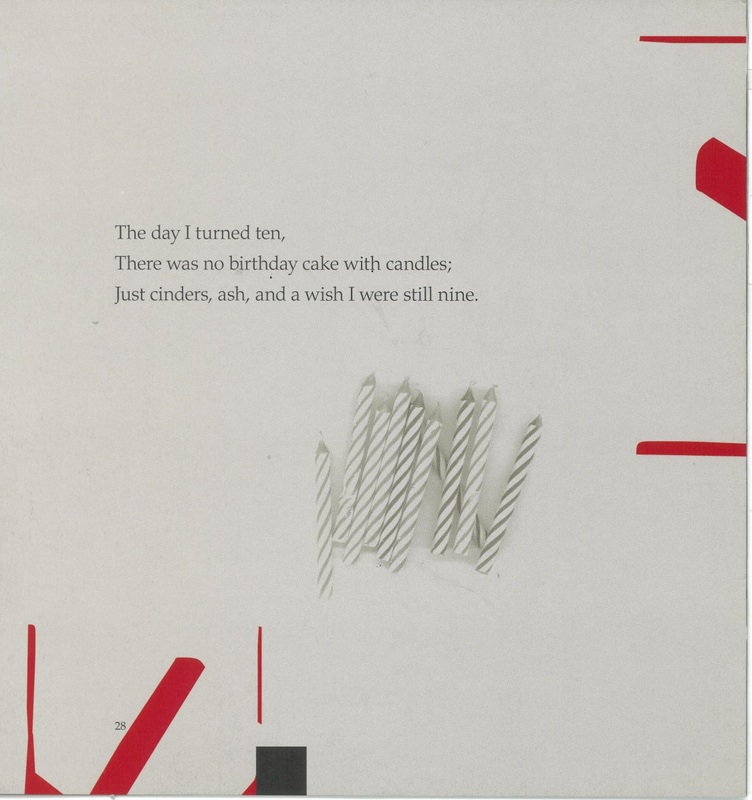 That setting dramatically juxtaposes birthday candles and the bundle of dynamite which sparked the explosion. The milestone resonates like a mantra, beginning as The year I turned ten and building to The day I turned ten. Did you see yourself in the four girls? How much of you is in the anonymous narrator? 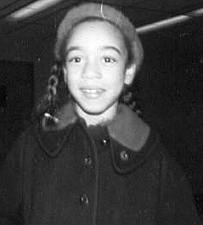 In 1963 I was seven years old and had already written my first poem. I grew up in Baltimore and did not experience the degree of discrimination that they did in Birmingham. But in many ways, I was those girls. Like Addie Mae Collins, I drew portraits, played hopscotch and wore my hair press and curled. Like Cynthia Wesley, I was a mere wisp of a girl who sometimes wore dresses that my mother sewed. I sang soul music and sipped sodas with friends. Like Denise McNair, I liked dolls, made mud pies and had a childhood crush. I was a Brownie, had tea parties and hosted a neighborhood carnival for muscular dystrophy. People probably thought I’d be a real go-getter. Is the bombing still relevant today? Nowadays, racism is usually more subtle and less definitive. Even hate crimes are more difficult to pinpoint and to prove. Many argue that racism motivated neighborhood watch volunteer George Zimmerman, who murdered teenager Trayvon Martin. In a more clear-cut case of hate violence, in 1998, James Byrd, an African-American man, was dragged three miles to his death by three white men (two white supremacists) in a pickup truck. And in 2006, nooses were hung in a tree on a high school campus in Jena, Mississippi, after a black student tried to sit with white students at lunch. As long as racism persists and this nation exists, stories from the African-American freedom struggle will remain relevant. I take the author’s point about racism today – more subtle, less easy to pinpoint. And yet, this story — and stories like it — will always be relevant. Unfortunately, we haven’t come as far as we believe we had.